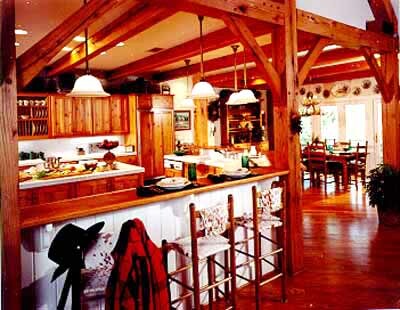 This country home was another successful collaboration between an independent architect and Red Suspenders. 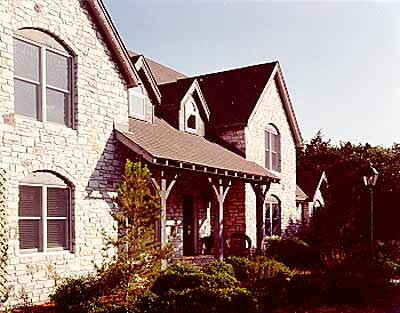 Ron Balderach of Austin was the architect on this project while once again we designed the timber frame. 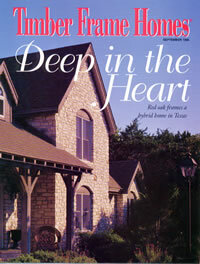 This home was also featured in Timber Frame Homes magazine. As with many of the projects we work on, this home is not entirely timber framed. Rather, the public areas such as the great room, kitchen and dining room are timber framed along with the master bedroom. There are several reasons for this approach. 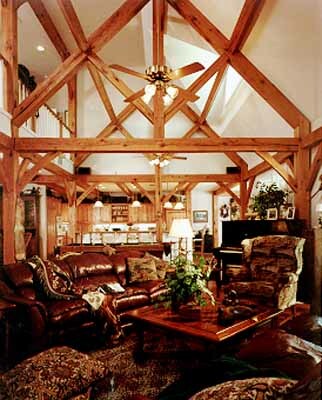 Timber framing shines best in the large open areas of a home and can sometimes be lost in areas such as bedrooms, utility areas and other secondary spaces. 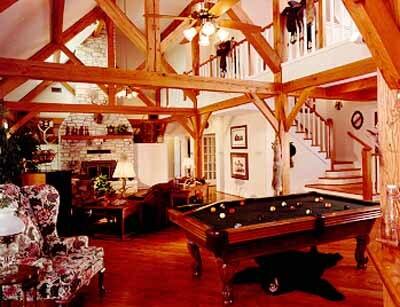 It is often difficult to justify the cost of a timber frame in areas where it truly lends no added value to the home. In those secondary areas, we opt for less expensive methods of construction such as structural insulated panels or conventional framing. This often brings the cost of a home in line with the budget and still provides the beauty and feel of a timber framed home. 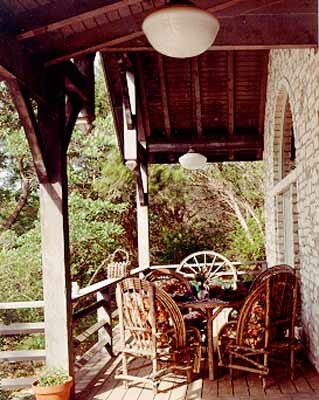 This particular frame was crafted from Red Oak, harvested in East Texas where tremendous stands of oak are present. This timber was used "green" and the frame shows the shrinkage and checking typical of the use of moisture-laden material.